Providing New Beginnings for our Artisan partners in Pakistan! 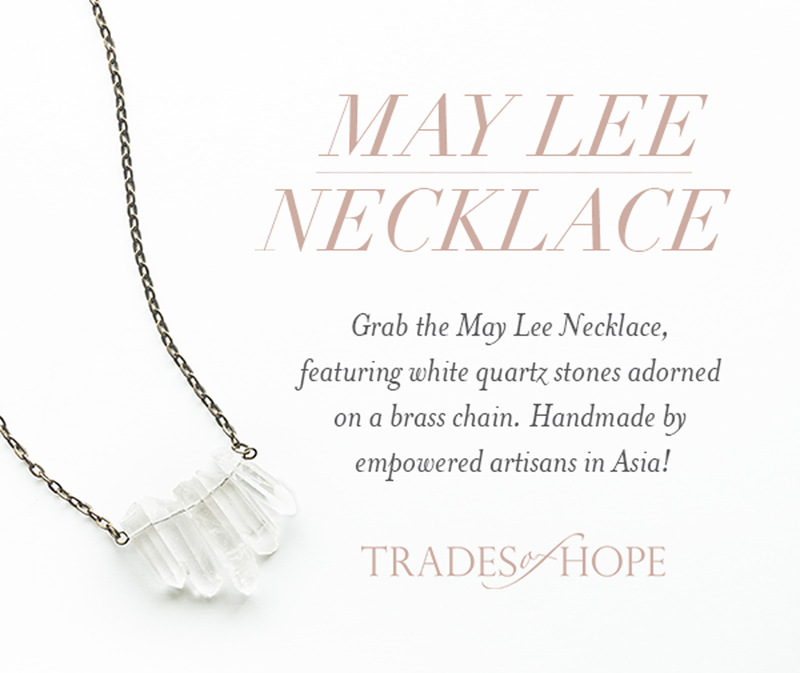 I love all of the incentives we do with Trades of Hope, on top of all of the awesome world change that is going on with every product sale! Today I wanted to share our current hostess incentive! We are so excited for this first quarter’s Hostess Incentive! This January through March 2019 we are partnering with our Pakistani Artisans and the Daughters of Shalom Institute to provide Life Skills classes for women rising above their circumstances and forging a better life not only for them but also their families and their communities. Through this giveback, women in Pakistan will receive free training classes on reading, writing, sewing and many other valuable life skills! It’s the perfect time to sign on as a Compassionate Entrepreneur and get started strong with your business! This Hostess Incentive will help increase bookings and provide hostesses with an attainable goal that will also give back! 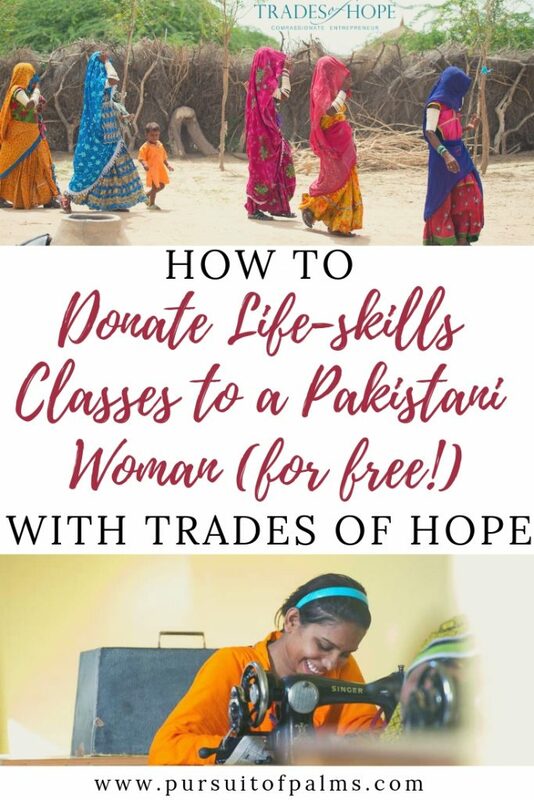 Details:For every $600+ party held and closed in the months of January – March 2019, we will provide five (5) life skills classes to Pakistani women escaping hardship. Qualifying hostesses will also receive a pair of the exclusive Trinity Drop Earrings to celebrate! 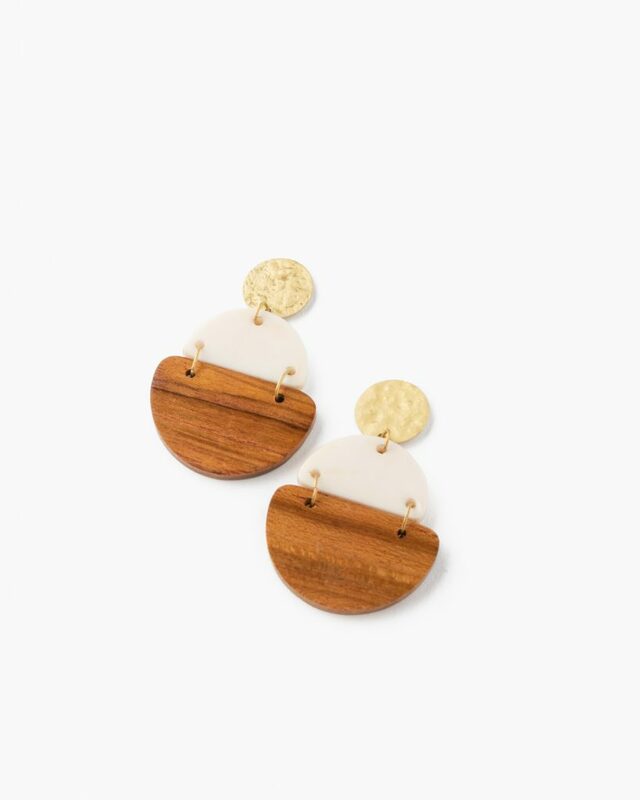 These beautiful earrings are handmade by artisans in India and feature a mixed metal stud, and half-moon shapes made from resin and teak wood. The approximate measurements are 2.28 inches high x 1 inch wide. Each qualifying hostess will receive one pair of earrings per party. Original event date must be held and closed with orders placed between 1/1/19 – 3/31/19. For each $600 PRV level, five (5) life skills classes will be provided from their party! So, $1200 PRV party = 10 life skills classes, $1800 PRV = 15, and so on! of the students from Daughters of Shalom, Kainat, learned how to sew and was hired as a seamstress for Trades of Hope. Kainat comes from a large family with 10 siblings. Her father was an alcoholic and abusive to the family. 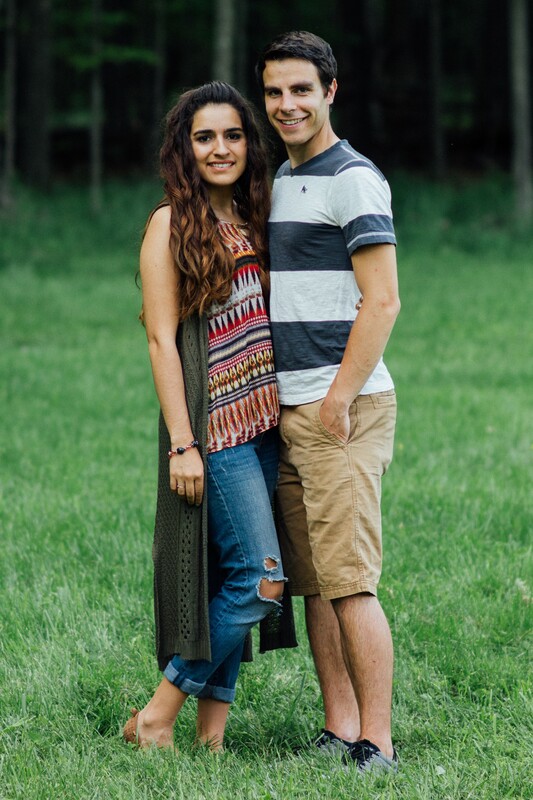 When his addictions took his life, Kainat’s mother was helpless to support her family. Now through her work as an artisan, she is able to support her family and purchase medication for her mother. The feeling of desperation has been replaced with hope for Kainat and her family! The second campus, the Lydia Campus, opened in 2015 by Mustaq’s sister, Razia. Razia was a prior student of the training center and was eager to open another campus. She began with an after-school program for the children and soon, the mothers came to Razia asking to be also be taught. Currently, there are over 180 women enrolled in these classes, but there is always a wait list for others to join. When you host a party, you are changing lives for women like Kainat and creating new beginnings for generations to come! Host a Party with me! Do I have to participate in an in-home or online party to earn this Trades of Hope Hostess incentive? Traditionally, the answer is yes, however, I am one of the few consultants who help hostesses qualify for rewards without having an in-home or online party. Send me an email or find me in my Facebook group and we can go into detail about how this works and the best ways for you to get to unlocking this hostess incentive along with your regular (generous!) hostess rewards. I LOVE this hostess incentive….what’s next? If you’re not wanting to host, you can shop with me and your purchase will help earn those classes with this incentive! You’ll also be helping me reach my Map to Guatemala goals! Read more about that incentive here. 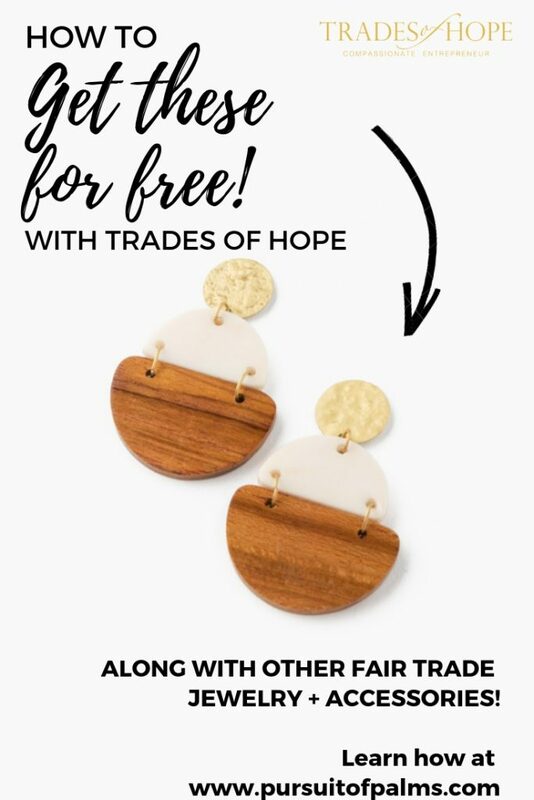 If you love the idea of sharing your love of Trades of Hope and receiving free fair trade jewelry/home decor/accessories in return, I highly suggest taking a peek at my post about the benefits of being a Trades of Hope Compassionate Entrepreneur! Not only are you able to accrue hostess rewards for yourself, you will earn commission on any order that comes in. Soon you’ll need a new jewelry box for your ever growing collection!